Rejection – “the action of rejecting : the state of being rejected“. This is Merriam-Webster’s definiton of ‘rejection’. Being rejected is never a positive thing and does not make you feel that great about yourself. However, life is not always a bed of roses. Everyone experiences difficult times and hardships. For me right now, I connect this to my job searching. It’s tiresome and takes a lot of energy. To look through all the ads to find one that would fit you, and then put together a CV and cover letter. To apply and then wait for a positive or negative reply. If it’s positive, to go to an interview and then wait for positive or negative feedback etc. It’s a long process and it’s very common to experience rejections during this process. Some experience them more than others. 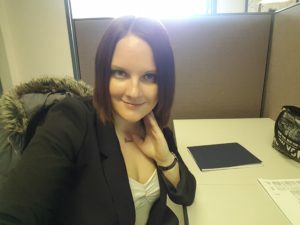 So far, I have been to 8 interviews in total (some with employment agencies and some were call-backs) and I have met with four different companies. At first it felt great to have four possible positive outcomes, however, when you’re looking for a job it goes up and down. One of them rejected me today. I was one of the last ones standing but the other candidate was simply a better fit for the company. It’s disappointing, but it happens. It just means that I haven’t found the right fit for me yet. I’m not sure what’s going to happen. All I know is that I’d love to find a job soon and have something to occupy myself with. I like staying busy and I want to stay busy by working in communications, media and marketing. Rejections, to be rejected, hurt and can make you doubt yourself and go into a very negative way of thinking. What’s most important is to pick yourself up again and not spiral down the negative hole that rejections can create. It’s difficult but that’s what you must do. Put the rejection behind you and move forward, and stay positive. Do your best and hope for the best. That’s what I’m going to do and I hope that I will soon find that right fit for me.